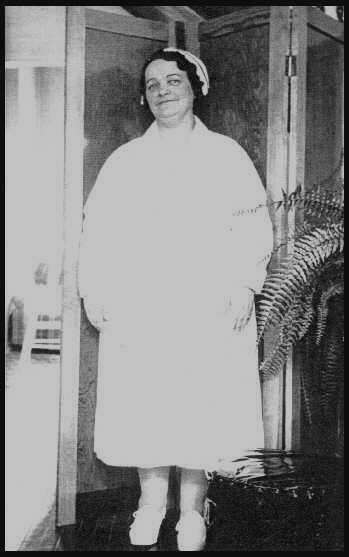 On a fateful day in 1922 Canadian nurse Rene Caisse happened to notice some scar tissue on the breast of an elderly English woman. The woman said that doctors had diagnosed her with breast cancer years before. However, the woman didn't want to risk surgery nor did she have the money for it. The English woman had met an old Indian medicine man in the 1890s who told her that he could cure her cancer with an herbal tea. The woman took the medicine man's advice, and consequently she was still alive nearly thirty years later to pass on this herbal remedy to Nurse Caisse. Rene Caisse devoted over fifty years of her life to treating hundreds of cancer patients with Essiac. 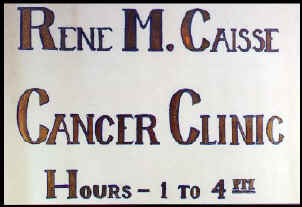 So effective were her treatments that in 1938 her supporters gathered 55,000 signatures for a petition, amongst other petitions, to allow Rene Caisse to continue treating cancer patients. A bill was introduced in the Ontario legislature to (allegedly) "authorise Rene Caisse to practice medicine in the Province of Ontario in the treatment of cancer and conditions therein". Due to the machinations of the medical establishment, the bill failed to pass by just three votes. Initially, Rene was not aware of the control that the medical/pharmaceutical establishment had over governments. After the petition was delivered to the National Health and Welfare Department, she was continually threatened with arrest until she finally withdrew from public view. 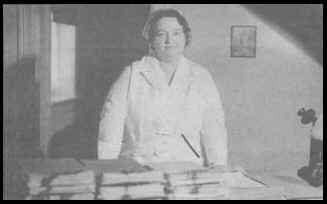 Unlike Nurse Caisse, the medical establishment was more interested in making money than in helping people. Essiac was cheap. It could cut into the lucrative profits from radiation, chemotherapy and surgery--treatments that often do more harm than good. Essiac is non-toxic. Rene said, "Chemotherapy should be a criminal offense." "HOW TO LIVE A LIFE COMPLETELY FREE OF CANCER"
Dr. Ralph Moss was appointed to the Cancer Advisory Panel that evaluates alternative cancer therapies for the government. On his original web site and in his book CANCER THERAPY, Dr. Moss pointed out that each of the herbs in Essiac has been scientifically shown to contain anticancer substances. In his "Cancer Chronicles" Dr. Moss noted Essiac's rising popularity by comparing Essiac's low cost to a $150,000 bone marrow transplant. Dr. Ralph Moss has written several books on complementary and alternative cancer treatments and the cancer industry including his book "Questioning Chemotherapy". Essiac has become widely known for its remarkable ability to boost the immune system and detoxify the body. Many people who drink Essiac tea regularly report feeling healthier with less incidence of colds and flu. Burdock, for example, has a well-established reputation for detoxification and support of the liver and organs of elimination. To read about additional benefits of Essiac, CLICK HERE to read the interview with Dr. Marijah McCain. For centuries burdock root has been regarded as an effective blood purifier that neutralizes and eliminates poisons from the body. Burdock contains a volatile oil--especially in the seeds--that is eliminated through the sweat glands, taking toxins with it and alleviating skin problems. Burdock contains niacin, which is known to eliminate poisons from the body, including radiation. Burdock also supports the bladder, kidney and liver and has been said to dissolve kidney stones. It also contains an abundance of minerals, particularly iron. Studies have shown anti-tumor activity in burdock. Japanese scientists have isolated an antimutagenic property in burdock, which they call the "B factor". The Japanese grow burdock root for food as well as medicine. A memorandum from the World Health Organization revealed that burdock was active against HIV. Extracts of burdock seed have demonstrated potent anti-cancer action against leukemia [HERBAL MEDICINE, HEALING & CANCER by Donald Yance]. Burdock is also a component in the Hoxsey herbal cancer treatment. Rene Caisse isolated sheep sorrel as the main Essiac herb that caused regression of metastasized cancer and reduction of tumors. She used the whole herb including sheep sorrel roots. In fact, she stated that sheep sorrel roots are a necessary part of the formula. Rene Caisse stated in a letter to Dr. Chester Stock of the Memorial Sloan Kettering Cancer Center that sheep sorrel roots are "very essential" to the Essiac formula. In spite of this fact, nearly all Essiac suppliers do not include the roots. CLICK HERE to find out why. According to Nurse Caisse it is not Essiac if sheep sorrel roots are not included. Dr. Ralph Moss points out that sheep sorrel contains aloe emodin, a natural substance that shows significant anti-leukemic activity. 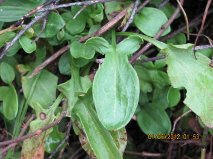 Sheep sorrel contains antioxidants, is diuretic and has been used to check hemorrhages. Sheep sorrel is a traditional food of native cultures and is still served in fine restaurants along with other sorrels. CLICK HERE for more information about sheep sorrel. Due to the ever-increasing popularity of Essiac, numerous entrepreneurs have jumped on the Essiac bandwagon with their own four, six, or eight-herb products. Unfortunately, Rene Caisse was very secretive. She never published the formula and it appears that she experimented with different herbal combinations. Therefore, it is understandable that there would be controversies over who has the correct formula or the best product. Curiously, ESSIAC didn't become a trademark name until two years after Dr. Glum published the Essiac recipe. Yellow dock or garden sorrel is sometimes substituted for sheep sorrel. Imported turkey rhubarb may be irradiated, fumigated or both. So how do you know if you are buying the real, unaltered Essiac? Many people become confused about Essiac tea after visiting various web sites with conflicting information. Unfortunately, Rene is not alive today to remind people that it's all about "helping suffering humanity", not money. As Rene stated in "I Was Canada's Cancer Nurse", "respect and love of our fellow man are more important than riches." Sheila Snow, author of THE ESSENCE OF ESSIAC and co-author of ESSIAC ESSENTIALS and ESSIAC, THE SECRETS OF RENE CAISSE'S HERBAL PHARMACY, knew Rene Caisse personally and fortunately obtained a great deal of documentation to dispel much of the confusion about Essiac tea. Sheila Snow has passed on the Sheila Snow Essiac archive collection to Mali Klein, author of THE ESSIAC BOOK. 1) Essiac marketers often claim that Essiac is an Ojibwa Indian formula. In "I Was Canada's Cancer Nurse" Rene Caisse referred only to "a very old Indian medicine man" without naming any specific tribe. Sheila Snow and Mali Klein have researched this issue extensively from the Essiac Archives and found that "There is absolutely no evidence to support the popular assumption that he was a member of the Ojibwa tribe. There were six different tribes living in Northern Ontario at that time, including Algonquin [Anishinabeg], Cree, Cherokee, Huron, Iroquois and Ojibwa as well as the refugees from other tribes in the United States, who were fleeing north of the border from the Indian wars." 2) Turkey rhubarb (Rheum palmatum) is native to China and Tibet, not northern Ontario, so it appears unlikely that it was a part of the original medicine man's formula of indigenous herbs in the late 1800s. Even today turkey rhubarb has still not established itself as a wild herb of North America [North America was originally called Turtle Island before the European Invasion and subsequent Holocaust]. "The [Turkey] rhubarb rhizome official in the British Pharmacopoeia, 1914, must be collected in China and Thibet. English-grown rhubarb is inferior to the official rhubarb in medicinal qualities. "* Even the 1931 edition of A MODERN HERBAL reports that "We still depend upon Northern China and Thibet for Rhubarb. "* In Rene's Caisse's "I Was Canada's Cancer Nurse" she stated that the original formula came from an "old Indian [who] showed her certain herbs growing...in the the wilds of Northern Ontario." Nurse Caisse also used "Rheum officinale" which is often called "Indian rhubarb" because it came from Asia by way of the trade route through India. However, according to Mary McPherson, "Turkish is better" and Rene Caisse switched to Turkey rhubarb because it tastes better. CLICK HERE for more information about "Turkey rhubarb" and "Indian rhubarb". Since the modern North American diet of over-processed foods can cause chronic constipation which can promote cancer, the addition of rhubarb root in the formula appears to have been a wise one. Herbalists such as Dr. John Christopher and Dr. Bernard Jensen believed that most illnesses are due to unclean colons. Turkey rhubarb is now being grown commercially in North America, and that may very well be due to the ever-increasing popularity of Essiac tea. 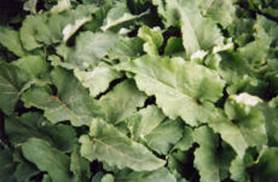 3) Burdock and sheep sorrel are not native to North America. It appears that both burdock and sheep sorrel were brought to this continent from Europe by early settlers who then passed on their knowledge of these two herbs to the local tribes. Burdock and sheep sorrel eventually spread throughout North America where water was sufficient. Unfortunately, they are often referred to as invasive "weeds". 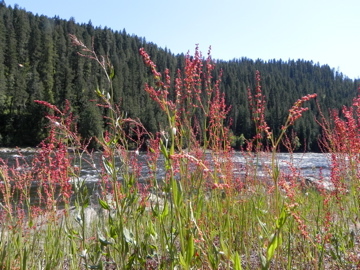 Rene Caisse indicated that sheep sorrel was one of the original herbs, so it appears that sheep sorrel had migrated to "the wilds of Northern Ontario" before the 1890s. Burdock could have also established itself in Northern Ontario by then. In spite of the numerous, conflicting claims as to what the original Indian "medicine" man's formula was, no one has yet offered any verifiable evidence to settle that issue. Some claim it was a four-herb formula while others claim it was an eight-herb, six or seven-herb formula. Many of these claims state that turkey rhubarb was one of the original herbs, which did not grow "in the wilds of Northern Ontario". Rene Caisse did experiment with a number of herbs and changed the formula through time. It does appear that she gave different Essiac tea formulas to different people to try to find the best one. She also appeared to "thrive on intrigue" to throw people off the trail to guard her secrets. [See THE ESSIAC BOOK by Mali Klein]. Therefore, it is easy to see why so many people are marketing different versions of "Essiac" tea, all claiming to have the right one. However, she finally settled on her four-herb formula before she died. This four-herb formula was demonstrated by Rene Caisse and untold cancer patients to be an effective, health-giving remedy that has stood the test of time . The only person Rene Caisse trusted to help her make Essiac tea was her best friend, Mary McPherson. Mary had worked alongside Rene since the 1930s and knew the formula by heart. According to Dr. Gary Glum, Mary had promised Rene never to reveal the formula to anyone. The Essiac formula might never have made it into the public domain had it not been for Dr. Glum. In 1985 he purchased the formula for $120,000 from one of Rene's former patients. Dr. Glum could have kept the formula secret and become very wealthy selling bottles of Essiac. However, he unselfishly released the formula into the public domain in 1988. At first he offered the formula on a video tape that he advertised in his book, CALLING OF AN ANGEL, but the feds unlawfully seized the tapes before he could sell very many of them. Dr. Glum gave out the Essiac formula and recipe free of charge to anyone who mailed him a request for the Essiac formula. Another reason why Rene kept the Essiac formula secret was that she didn't trust people to make it properly and she thought that it would be altered. For example, several years after Dr. Gary Glum published the four-herb Essiac formula, Canadian talk show host Elaine Alexander marketed an eight-herb formula, which included the four herbs that Dr. Glum published. Her marketing campaign proclaimed that Essiac's "new name was Flor•Essence®". She subsequently died of cancer. Even today a common misconception still exists that Elaine Alexander's formula is Rene Caisse's authentic Essiac formula. However, Mary McPherson's recorded affidavit settled that controversy in 1994. This eight-herb formula is actually Dr. Charles Brusch's own formula, not Rene Caisse's Essiac formula. Two of the herbs in this eight-herb formula were blessed thistle and kelp. Rene Caisse never used these two herbs. Furthermore, it appears that there were unethical activities made in the marketing of Elaine Alexander's and Dr. Brusch's formula. Claims were made that Dr. Charles Brusch knew the formula. 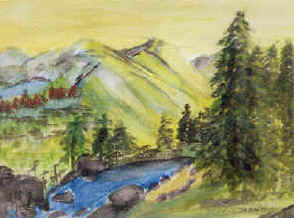 However, researchers Sheila Snow and Mali Klein stated in their book THE SECRETS OF RENE CAISSE'S HERBAL PHARMACY (p. 13): "Considering Sheila's 16 years' association with Dr Brusch and his wife, and examining the evidence of the letters exchanged between them and with Mary McPherson, we must conclude that we do not believe that Rene ever gave Dr Brusch the Essiac formula. Therefore we must question any subsequent claims by people associated with Dr Brusch as having access to the original Essiac formula." Rene Caisse told Sheila Snow on July 11, 1977: "I didn't give it [the Essiac formula] to Doctor Brusch and I'm not giving it to anyone else." [THE ESSIAC BOOK, p. 74] It also appears that Dr. Brusch's name was forged on false documents. Dr. Brusch's wife, Jane, stated: "I am infuriated over all the different things I am hearing. I can't believe that so many people are using Charlie's name and the things they are coming up with -- old signatures etc -- requests for peoples' records and histories -- all lies. I turn all these over to our lawyer -- I am dumbfounded." CLICK HERE for more information about this situation. Rene Caisse did pass on different versions of the Essiac formula to at least four people before she died in 1978. CLICK HERE to read "Who Owns Essiac?" for more information about the history of Essiac and Essiac timeline. The following formula and recipe for Essiac (in italics) is a word-for-word transcription of the Essiac formula from the sworn affidavit which Mary McPherson filed with the Town of Bracebridge. CLICK HERE to view a certified true copy of Mary McPherson's two-page affidavit. The formula below is also the one which Dr. Gary Glum released to the public in 1988 when he published CALLING OF AN ANGEL: ESSIAC, NATURE'S CURE FOR CANCER. The preparation of Essiac is as important as the formula itself. Essiac is a decoction, not an infusion. An infusion is what people make when they put a tea bag in a cup of hot water. Generally speaking, an infusion tends to extract vitamins and volatile oils from leaves and flowers. 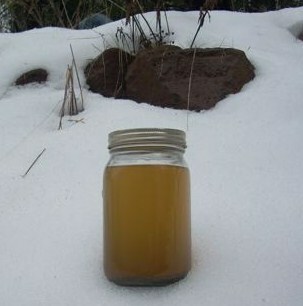 A decoction is used to extract minerals, bitter components, etc. from hard materials such as roots, bark or seeds by boiling for a few minutes and then allowing the herbs to steep for several hours. Entrepreneurs often sell Essiac imitations in tincture form (herbs in alcohol) or in gelatin capsules; neither form is Essiac because Essiac is a tea and, more specifically, a decoction that must be made in a certain way in order to achieve the kind of results that Nurse Caisse was demonstrating. Rene Caisse did not administer Essiac herbs in capsules nor did she make it as a tincture. People often substitute stainless steel for an enameled pot and lid. The main concern is not to use an aluminum pot. Also, be sure not to use unfiltered, chlorinated water. The formula above can be reduced to 1/2 cup of herb mix to one gallon of water. [Optional: Dr. Glum suggests adding 2 or 3 cups of extra water to replace water lost through evaporation during boiling. Also, the dry herbs will absorb water as well.] After boiling for ten minutes, let the tea steep about 12 hours. Then heat up tea to steaming, but not boiling. (Do not boil twice.) The remaining pulp can be used for healing poultices. Don't use cheese cloth to strain Essiac. Likewise, do not use a kitchen sieve that has a very fine mesh as this may filter out the slippery elm. Slippery elm gives the tea a slight viscous consistency when poured. If you do not notice this "slippery" consistency after refrigerating your tea, you may be using a sieve that is too fine. Don't worry about herb particles in your Essiac; they will settle to the bottom of the jars. Some people drink the Essiac dregs (particles that settle on the bottom), others don't. Some people give the Essiac dregs to their pets or farm animals as a health food. Many people have reported the same or similar health benefits with their pets that humans are reporting. The dregs can also be used topically as a poultice. It is best to refrigerate the Essiac tea as soon as it has cooled. Discard the tea if mold appears on the surface or if the tea does not taste right. CLICK HERE to learn about dosage. Make sure that the sheep sorrel you use is the small, wild variety of sheep sorrel and not a substitute like yellow dock or garden (French) sorrel. 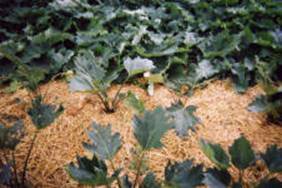 Imported turkey rhubarb root could be fumigated or irradiated. Many Essiac merchants are unaware of the quality of their herbs. The best way to insure that you're getting true Essiac is to grow the herbs yourself. This puts you in control of product quality and takes out the commercialism. Burdock root is harvested in the fall of the first year. 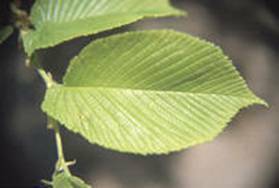 Slippery elm bark is wildcrafted or organically-grown and is easy to buy. Turkey Rhubarb is the only herb in Essiac that cannot be wildcrafted in the US. The Chinese use six year old turkey rhubarb roots for maximum potency. The Essiac tea in the snow on a foggy January morning (picture above left) was made using the Essiac formula given above. Compare the tea color in this picture to the tea that Rene Caisse herself holds in her hand in this YouTube video: http://www.youtube.com/watch?v=_k_nW-b-XmQ. According to the American Medical Association, drugs approved by the FDA kill over 100,000 Americans in hospitals every year! According to a 174-page report by the U.S. National Poison Data System the number of people killed in 2009 across America by vitamins, minerals, amino acids or herbal supplements is exactly zero!